Online shoppers often determine what stores to buy from based on their understanding of return requirements upfront. According to UPS consumer surveys, “66% of shoppers review a retailer’s return policy before making a purchase. 15% abandon a cart when the return policy is unclear.” Although returns can be costly for companies, making returns a seamless and customer-centric process is an important business strategy. Walmart is making it easier for shoppers to return purchases by giving them quicker access to shipping labels and return policies. And Amazon has forged a partnership with Kohls, where Amazon returns are now being accepted at kiosks at certain Kohl’s stores. Apparel subscription service Rent the Runway is also making it easier for customers to return clothes by opening drop boxes within some of WeWork’s co-working spaces. According to UPS, the busiest day for holiday returns won’t come after Christmas this year. I believe companies need to focus on how and where they communicate their policies. Additionally, they need to ensure follow through when customer returns occur. These 5 best practices have a positive impact on customer buying experiences and help drive loyalty. Do not require shoppers to go on a scavenger hunt to find information. And, if in-store returns are an option, make that clear. Some customers prefer in-store returns to shipping packages back to you. A well trained Call Center team is able to provide consistent information to customers. This avoids shopper confusion and distrust. And that’s important for creating loyalty. During the holidays, return deadlines are important. Extending return deadlines allows you to leverage your return policy as a competitive advantage. This is something you can call out in marketing communications. Remember to include the return label in the fulfillment box. This simple step makes it easy for customers. Even though they are choosing to return your product, you can make the process easier for your customers. They will appreciate the time you save them from having to search online, print a label, or call a rep for help. To complete the process for your customers, take the extra step by following up with an email when the return is received at the warehouse. 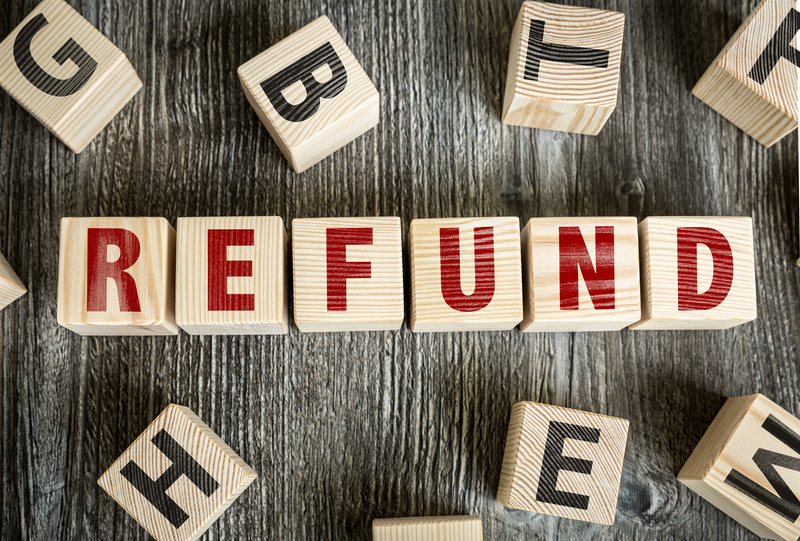 In this correspondence, provide details about the returned item, the refund amount, and how long it typically takes for credit to be applied. Also, include company contact information to make it simple to get in touch if your customer has any questions or concerns. How are you handling returns? While these five basic guidelines are intuitive, it is surprising how many companies do not apply them. What’s your opinion? Which companies impress you, and which ones make you turn to a competitor because their policies don’t meet expectations? Sign Up for our newsletter to continue learning how to increase your skills and transform your organization! When you register now, you get free access to our whitepaper on how to go from CX Novice to CX Expert. Follow us on Twitter for daily updates, too. Next Post What is the survey question that will prioritize your #CX roadmap?